In the hors d'oeuvres-filled world of the modern theater, August Wilson's works stand out as full-course meals: meaty, with plenty of sides. In the wrong hands, they can be ponderous and stuffy, but handled right -- you have a most satisfactory, memorable evening. 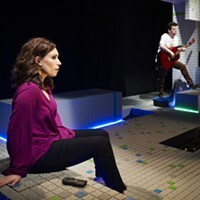 The Pittsburgh Playwrights Theatre Co.'s production of Two Trains Running gets off to a good start the minute the audience enters the intimate performance space, filled by a meticulous re-creation of a seen-better-days Hill District diner, circa 1969. There is practically no "fourth wall"; the audience is sitting right in a Wylie Avenue restaurant, with seven well-crafted characters to share their dreams, foibles, struggles and triumphs. There are moments of poignancy, of poetry, of jubilation, of sorrow and of hilarity -- singly and severally -- flying by with grace and rhythm. 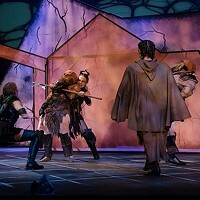 Much of the credit goes to company artistic director Mark Clayton Southers, who directed the play, designed the set and helped build it. (Yes, he tears the tickets, too.) He also assembled a remarkable yet well-balanced cast, ranging from newcomers to Wilson pros like Anthony Chisholm and Sala Udin. Award-winning Broadway veteran Chisholm commands the stage as the diner's owner, fighting for a fair deal from the city in eminent-domain proceedings. Pittsburgher Udin, who acted in Wilson plays long before the playwright's fame, has a quieter sort of commanding presence and cadence, portraying a diner regular and local savant. Company regulars Wali Jamal, Jonathan Berry and Lonzo Green turn in solid performances as, respectively, a numbers runner and flashily dressed dude; a young ex-con, persistent dreamer and romantic interest; and a street person with a most particular persistence. Sharnece Thomas more than holds her own as the lone female character, with a maturity far beyond what one could expect from a high school senior (even one from CAPA). Multi-accomplished stage veteran Eugene Lee was a late but notable addition to the cast, as the wealthy but friendless mortician. 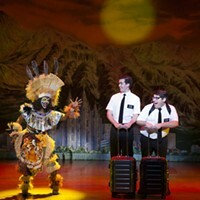 Originally produced in 1990, this chapter of Wilson's 10-play "Century Cycle" is more political, less mystical than some of the others, but with a generous, genuine sense of humor. And not to take anything away from the Hill District native's genius, but his plays do have a special resonance in his hometown, and nowhere more so than at Pittsburgh Playwrights. 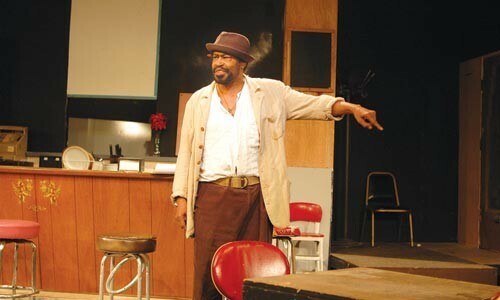 On track: Anthony Chisholm in Two Trains Running, at Pittsburgh Playwrights Theatre Co. Photo courtesy of Mark Clayton Southers.